Welcome to week thirty. It seems a bit of a milestone and it still only seems like yesterday that I began this challenge, inspired by Mary Berry’s Baking Bible, The Great British Bake Off and the lady who undertook this challenge before me and wrote her blog “Rising to the Berry“. I read about her in the newspaper and often look at her blog when I choose a recipe to see what she thought about it. After last week’s cake that took up quite a lot of time, I wanted a recipe that was quick and fairly easy as I didn’t have the time to give to much else this weekend. This recipe, Mary tells you to put everything in a bowl, mix together and spread between two tins, what could be easier? I weighed out all the ingredients into a bowl and used my electric hand mixer to make short work of it all. 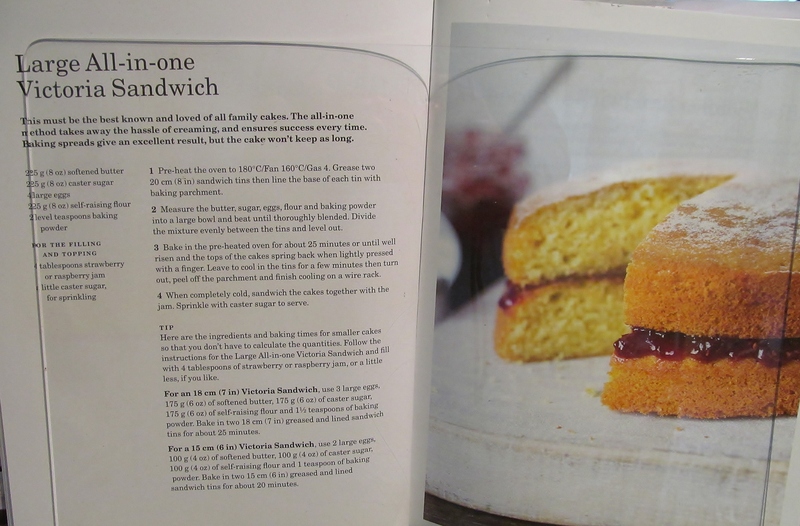 Then I lined both my sandwich tins and divided the mix between the two and levelled each one as carefully as I could. Then they went into the oven and I set the timer. After the allocated time, I checked the cakes and gave them a little longer as they weren’t quite so set in the middle. Then finally they were done, I removed them from the oven, allowed them to cool slightly, took them out of their tins and put them on the wire rack. when they were cool, Mary suggests filling them with Jam but I was a little indulgent and put some double whipped cream in with it too! A small dusting of icing sugar on the top and I was done for this weeks challenge. 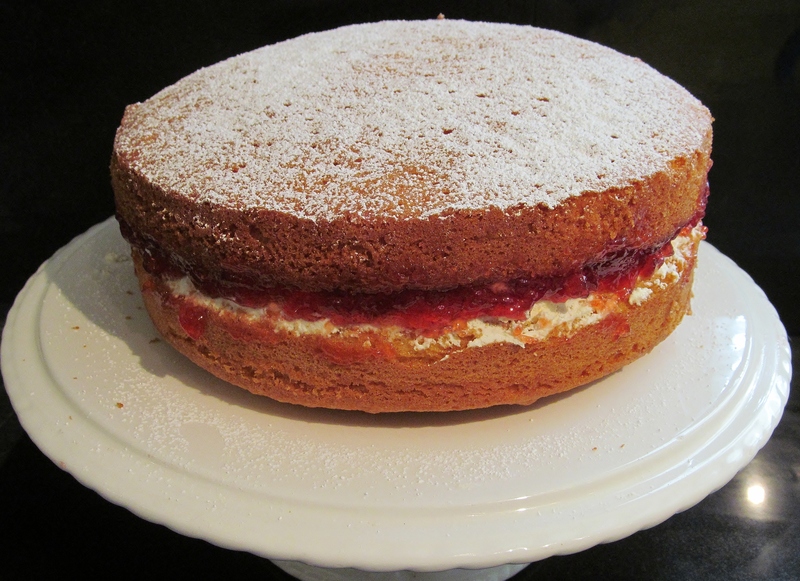 This entry was posted in Kim's cake challenge and tagged all in one cake, all in one victoria sponge cake, Baking Bible, Cake, Cooking, Great British Bake-Off, Home, kims cake challenge, Mary, Mary Berry's all-in-one victoria sandwich cake, victoria sandwich cake by kimsideas. Bookmark the permalink.